I recently did a six-day fast on juices only and found it to be a great experience and one I hope to repeat more often. 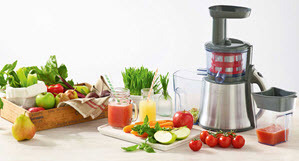 I have been juicing on and off for around 5 years now – mostly off – but this past year I have become an even bigger fan of this method of personal health promotion. It just makes sense to me. Shutting down the digestive system frees up so much of the body’s energy to work on deficiencies, which it wouldn’t otherwise get the opportunity to do so. I’m hoping that juice fasting will catapult me into a permanent healthier lifestyle than am I am used to. Unfortunately, thus far, my juice fasts are interspersed with bingeing on the most unhealthiest of foods imaginable – pizzas, chinese takeaway, McDonalds – you name it! Although I eat a lot healthier during the week, my weekends are a fat fest. I did a couple of two and three day juice fasts, two or three months ago. I decided two weeks ago to extend the length of time fasting. 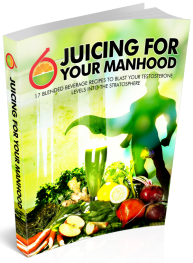 My longest duration on juices is 7 days. I am not the most organised person on earth so preparation consisted of going to the supermarket and buying enough broccoli, apples, cucumber, carrots, and lemons to last me a day or two. I prefer to do it this way, rather than leaving the vegetables to lay for another day or two in my cupboards. If you can get organic produce this is ideal. It’s also going to cost more. For the time being, I will use my local supermarket to buy my fruits and veggies. I juice as I go. Some people prefer to freeze their juice for later. I’m unsure if this decreases the nutrients provided. I prefer to err on the safe side and drink my juices immediately after I extract them. Using my Philips juicer I juice a full head of broccoli, two or three apples and a full lemon. The apples help to sweeten the juice. As a second juice I will usually mix two apples, a full bag of carrots and a thumb size piece of fresh ginger. Every other day I substitute broccoli for kale or spinach. I find that there is a lot less juice extracted from spinach or kale than I can get from broccoli. Maybe it is because I have done a number of previous fasts, but hunger rarely bothers me during a juice fast. Even when it does it can always be quelled by drinking another juice. This six-day fast was no different. There was no respite from the occurences of hunger pangs, even after 3 or 4 days, but I was never tempted to break my fast. I was more bothered by the headaches I was getting, from caffeine withdrawal. I still went to work at my desk job. I didn’t experience any drop in my energy level. On the contrary after a couple of days my energy began to rise and I felt better as each day passed. Breaking the fast I ate fruit and soup for the first two days, then slowly returned to my normal diet. over the next 3 or 4 days. It is important that common sense is used during this period of reintroducing solid foods. Your digestive system will completely shut down after 3 or 4 days on a juice fast, so it needs to be awakened slowly. I encourage you to research breaking the fast, and all other aspects of juice fasting. I am not a medical doctor nor qualified in any way to give advice. So please do your due diligence.